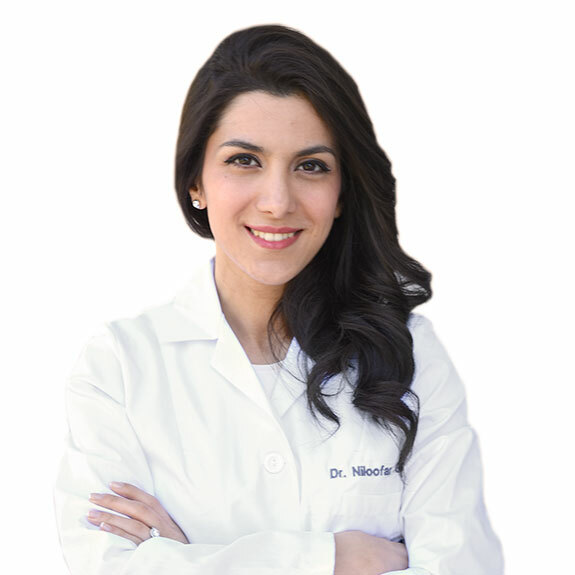 Dr. Niloofar Ghadiri graduated from the University of British Columbia with her Doctor of Dental Medicine degree while being on the Dean’s Honour List throughout her program. She was recognized with multiple awards for her outstanding skills in clinical restorative dentistry as well as her proficiency in the area of prosthodontics. She is passionate about providing gentle and stress-free dental care to patients of all ages, priding herself on providing the highest quality of dental treatment while actively involving her patients in their treatment planning. She keeps up-to-date with the latest technologies and procedures through her involvement in continuing education courses and various study clubs. Outside of dentistry, Dr. Ghadiri enjoys spending quality time with her family and friends, venturing outdoors, and cycling around the Vancouver seawall. She likes to explore the local food scene, trying and enjoying new foods. With a passion for travel, she is fascinated by varied cultures and loves familiarizing herself with different ways of living. Dr. Ghadiri is dedicated to providing excellent care in all aspects of dentistry and is committed to building long-lasting relationships with her patients, helping them achieve a healthy smile. Her friendly demeanour and easy-going personality will be appreciated by our patients and team members.